Something we Scots do very well is enjoy a good drink…or two…or three. We’re renowned for our Whisky in particular! I’m sure that for many of us, daydreaming about precious free time conjures up the image of cosying up with a nice hot toddy and a novel – especially one with a unique Scottish narrative. Well, Ringwood can provide you with plenty of Scotland inspired novels, and we have a suggestion for a day out that will allow you to stock up on some of the best whiskies our wee country has to offer! Tickets are on offer for adults, children and infants – as well as at concession rates – so you can have a family day out or an exciting evening with friends! 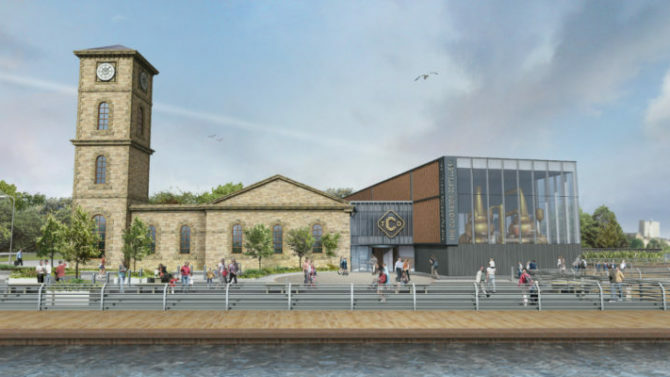 The location of the Distillery means you’ll have easy access to a good photographic view of the Clyde and a walk in the fresh air afterwards. Treat yourself to a fresh Ringwood purchase and kick back with your goodies from the Distillery to relax in true Scottish style.